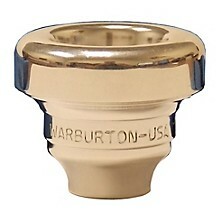 Professional quality mouthpiece top for the Warburton two-piece system. The Warburton Trumpet and Cornet Mouthpiece Tops are arranged in a progression from large to small in ascending numerical order. The Warburton Size 2 Silver Trumpet and Cornet Mouthpiece Tops feature a .680" inner diameter and a 1.90" outside diameter. The Size 2 mouthpieces feature nine cup designs to offer the player the most efficient mouthpiece with which to perform in any given playing situation.The ESV, ES, S, SV or M cups are an excellent choice for the player looking for a studio lead trumpet sound. The S, SV or M cups work well for a piccolo trumpet sound. The M, MC or MD cups work well for a brass quintet sound. The MC, MD, D or XD cups are designed for an orchestral sound. 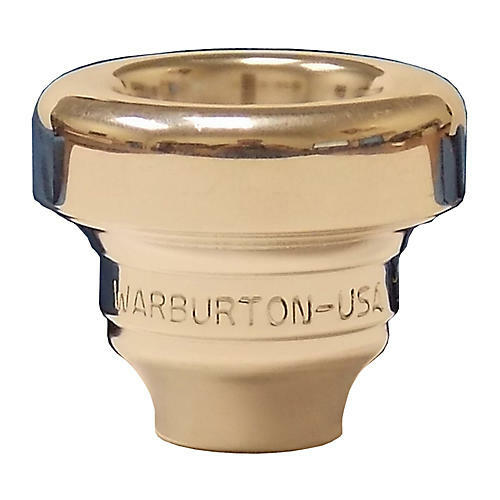 Once the desired cup is found, it can be combined with a Warburton Trumpet Backbore (sold separately) to best balance the sound and resistance of the mouthpiece and allow the player to fine tune their sound. Order today and get the perfect fit for any sound, any type of playing environment, and your own embouchure.